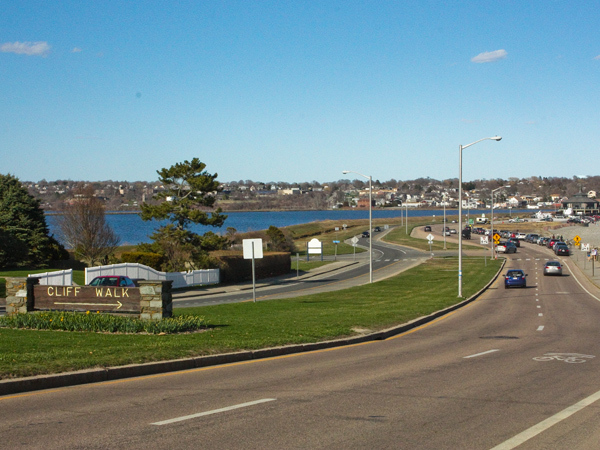 Extending almost two miles, this east-west boulevard connects Newport’s wharf to the residential Purgatory district after traversing a narrow spit of land adjacent to Easton’s Beach. 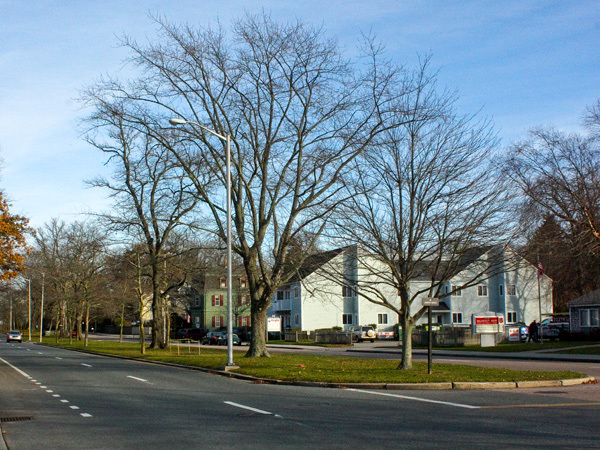 Throughout Newport’s early development, Memorial Boulevard was actually three distinct routes: Bath Road (east of Bellevue Avenue), Levin Street, and Cannon Street (west of Bellevue) were, by the mid-nineteenth century, part of Newport’s network of roads. 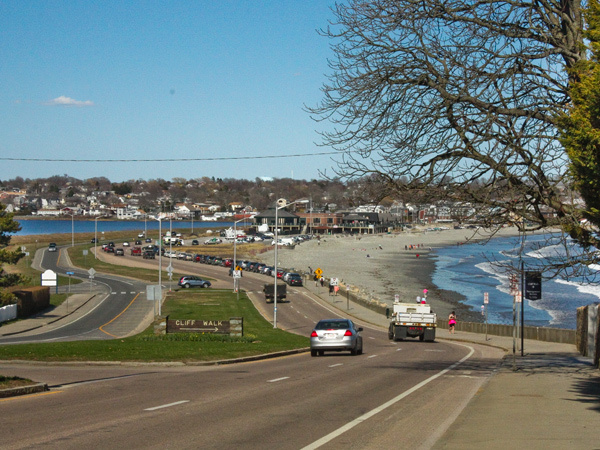 In his unrealized proposal for the improvement of Easton’s Beach in 1883, Frederick Law Olmsted, Sr. suggested that a pleasure drive lined with perennials be developed to accommodate traffic to the beach. 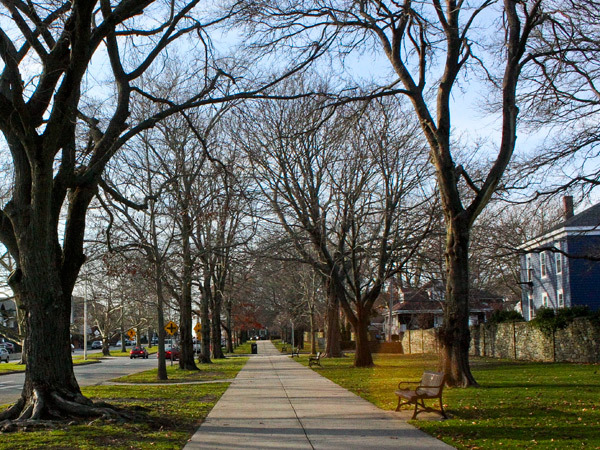 In 1913 Frederick Law Olmsted, Jr. provided further recommendations: To preserve the picturesque lawns and mature trees lining the south side, he suggested that Bath Road be widened to the north, with a streetcar line in the center. Neither of these recommendations was implemented. The ad hoc development of Bath Road, Levin Street, and Cannon Street continued until the 1960s when downtown Newport underwent revitalization. With the construction of America’s Cup Avenue in 1969, Levin Street was realigned and the three contiguous streets were renamed Memorial Boulevard. 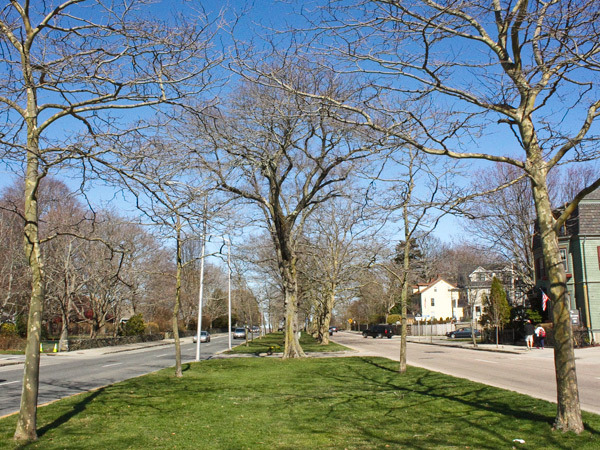 Lined by stately homes on the north and commercial structures on the south, the boulevard is divided by a grassy median planted with deciduous canopy trees. Extending from Bellevue to Easton’s Beach, a wide setback, mature trees, and a stone wall parallels the north side of the road. 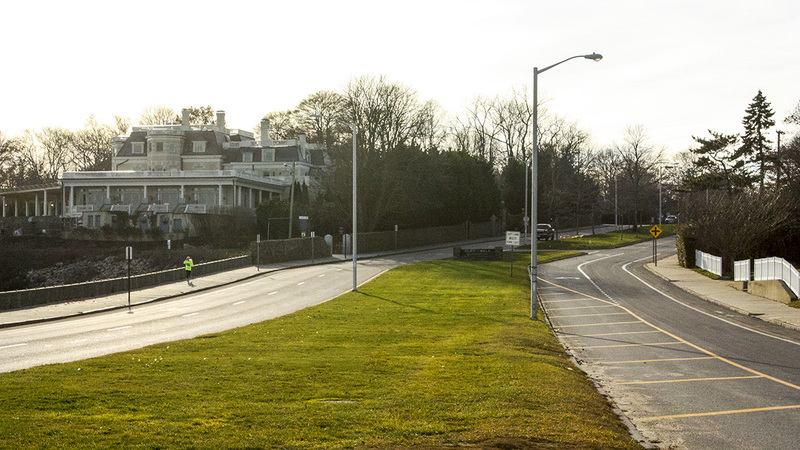 Memorial Boulevard forms the eastern boundary of the Bellevue Avenue Historic District listed in the National Register of historic Places in 1972.